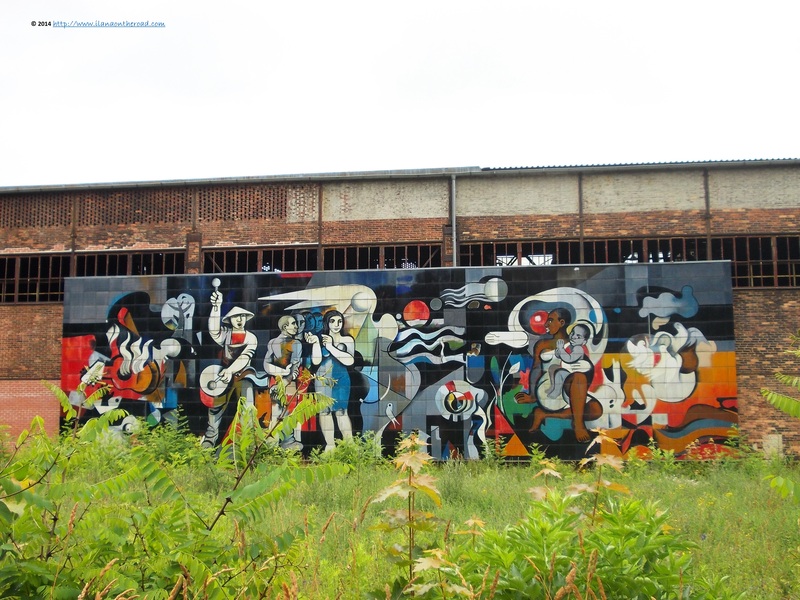 All the colourful cities with interesting architecture and so much history I discovered in the Harz Mountains in the last year of travel did not take away my deep longing for real hiking adventures. As someone that spent most of her childhood hiking frantically for months, I missed the mountains too much to accept a new failure. With a well researched notebook and serious time spent resting the day before, we arrived in Thale, our last new destination in this part of Germany for now. The weather was far from perfect, but the fresh high air of the mountains encouraged me to keep straight to the plan, whatever the temperature. From the train station, we walked around the Kurpark with wooden benches with monsters on its ends or various strange creatures. A reminder that we are in an area famous for its legends about witches flying on brooms or dancing naked on the top of the mountains. 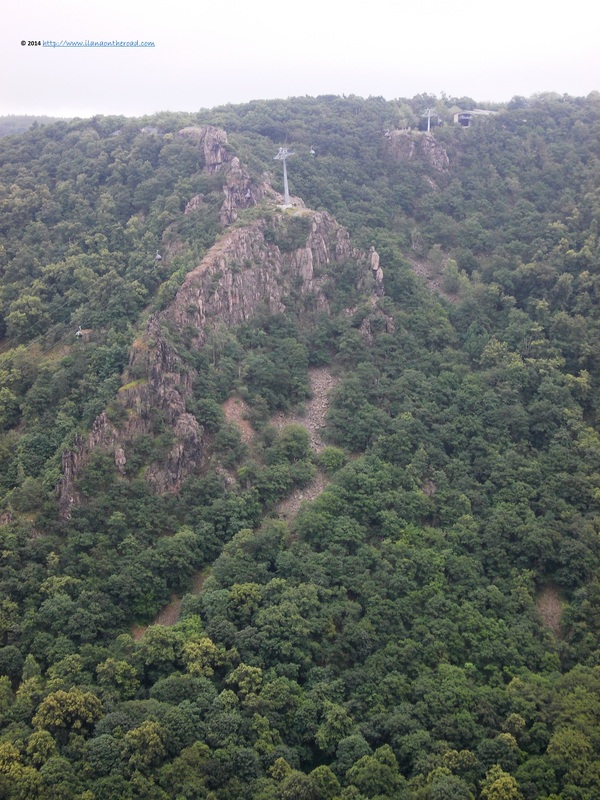 There are two separate mountain platforms in Thale that can be reached via two different routes. Although it is possible to go hiking two ways as the routes are moderately difficult, even for those without special mountain preparation, in both cases, we preferred to use a gondola for the ascent and do the hiking on the way back. 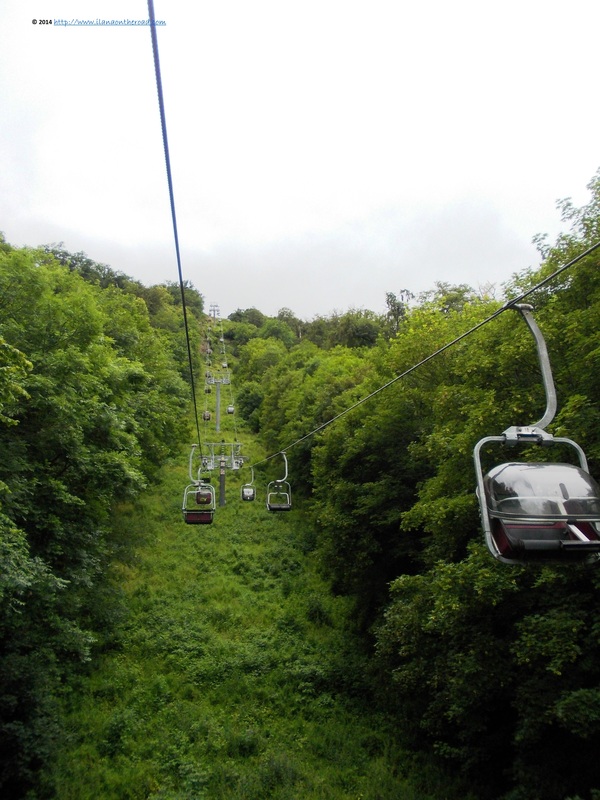 The gondola leading to Rosstrappe took around 10 minutes to arrive leaving us the chance to discover the nature down under. It went smoothly and uneventful (for someone who developed recently a horrible fear of heights, was almost perfect). Here is a short recording of the experience, the first for me in almost 10 years. Once arrived on the top, we walked a bit, but there were not too many attractions to keep us for longer and not too many people either. After having a look over the city and the mountains in the neighbourhood, we were ready for the descent. As the HEX train, our direct connection to the Harz during the weekend, left Berlin early in the morning, I did not have too much time for a proper breakfast. 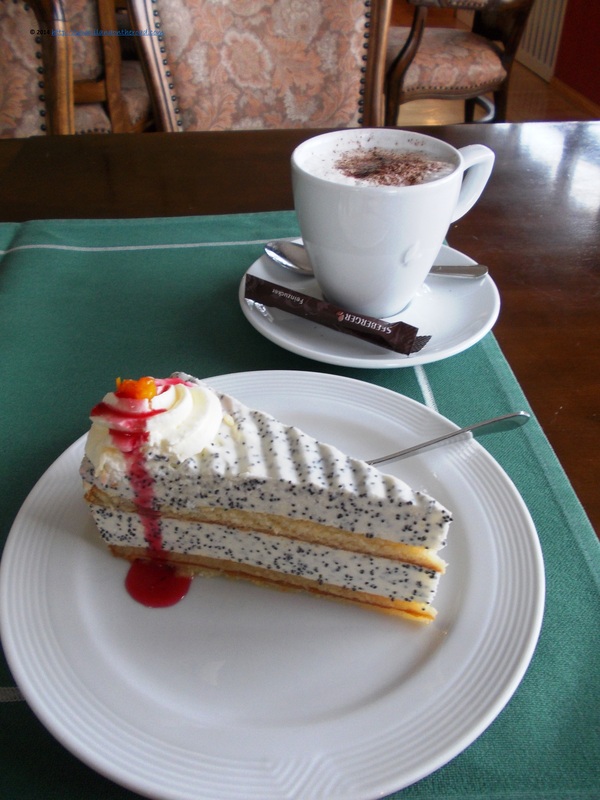 At Rosstrappe Hotel, I offered myself a sweet brunch: a heavy creamed poppy cake with strawberry sauce and almond decorations, plus a coffee that was not extremely tasty. This long stop, the longest of the entire trip, was good enough not only for refuelling the eventually low level energies, but also for gathering more local information about the best ways to return in Thale for exploring the other side of the mountain that according to all the maps and guides we gathered on the way was by far more eventful. What looked as a long journey, a bit dangerous, turned to be a very smooth descent of less than one hour. Wearing good sport shoes is a must and a lot of attention for not climbing in the mud after the frequent rains. 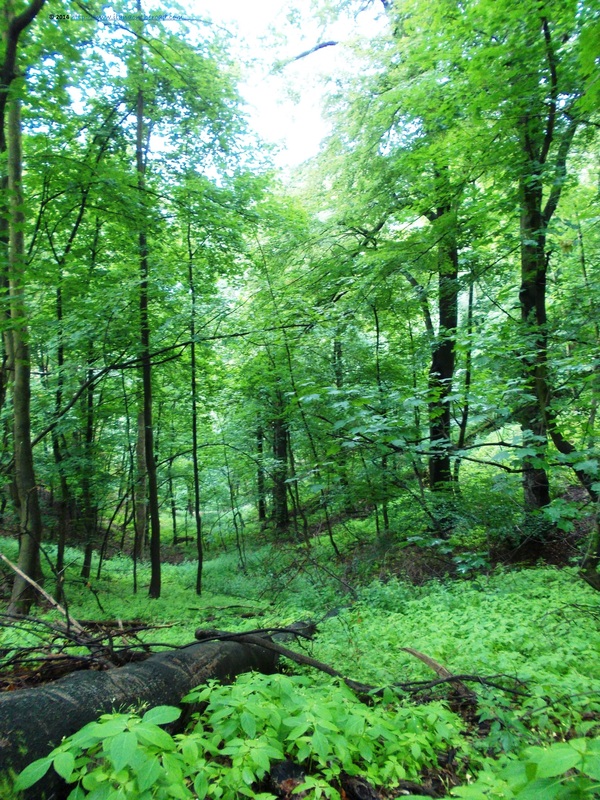 After seeing so many fallen trees I would not dare to adventure around during the storms or heavy rains. The route is well marked so getting lost is almost impossible. The way back took around one hour of very relaxed walking. 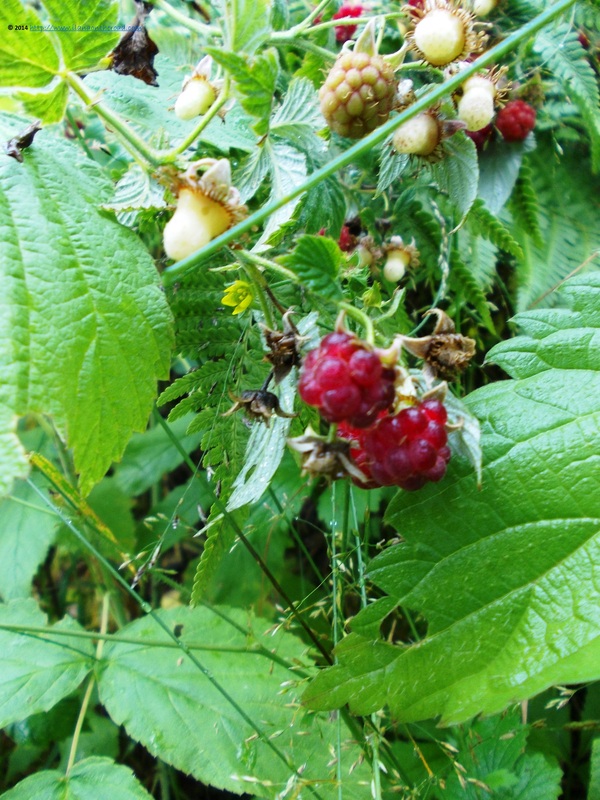 If not so many raspberries, probably we were able to reach Thale faster, but the childhood memories of perfect lunches offered by nature kept me close to the bushes. Hopefully, no hungry bears to compete with for fruits. Watch your steps, not only because you should walk carefully in the mountains, but because some little creatures might be using the same path too. 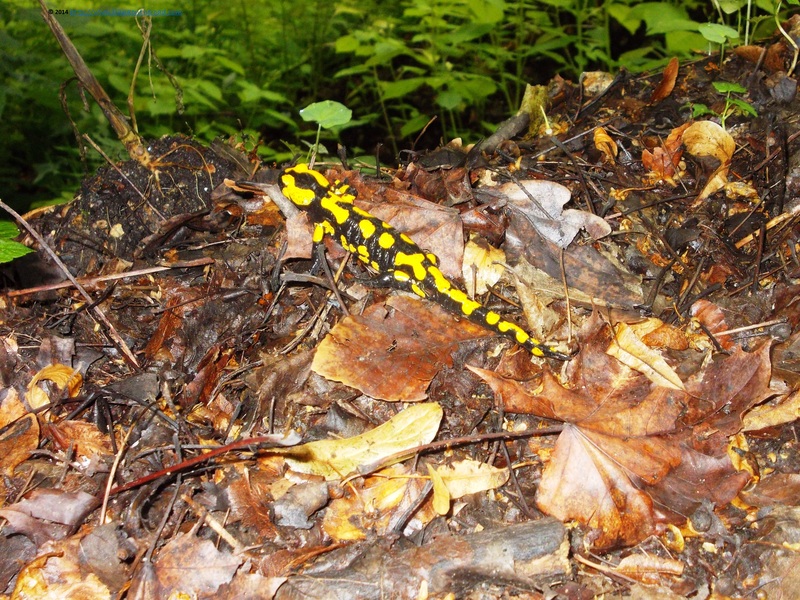 Like this black-and-yellow salamander, who was kind enough to allow us film her at length for this YouTube video. We already met one of her kind at Goslar, close to the mining place. 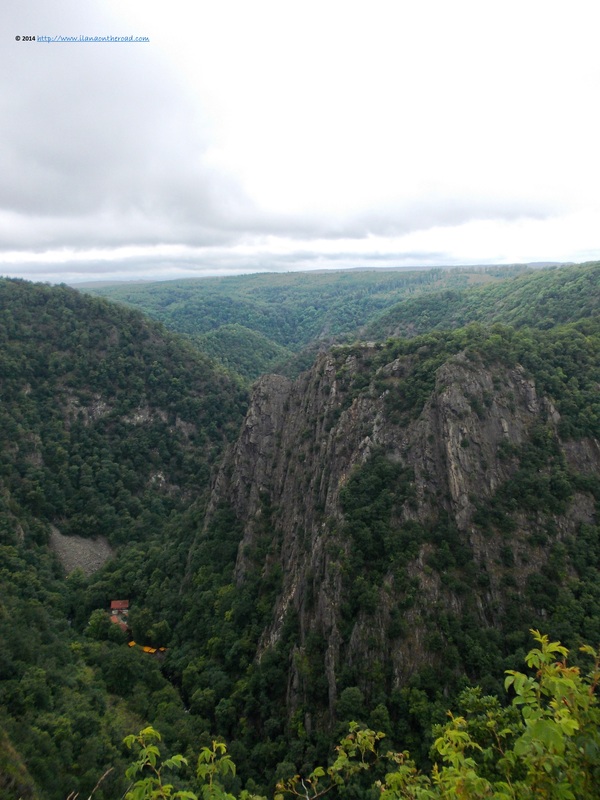 A dangerous presence in the Harz mountains are ticks, but wearing long sleeves and pants can diminish the risks. Trying not to worry too much about accidents or other calamities, we continued the way back in town, admiring the spectacular corners of nature. 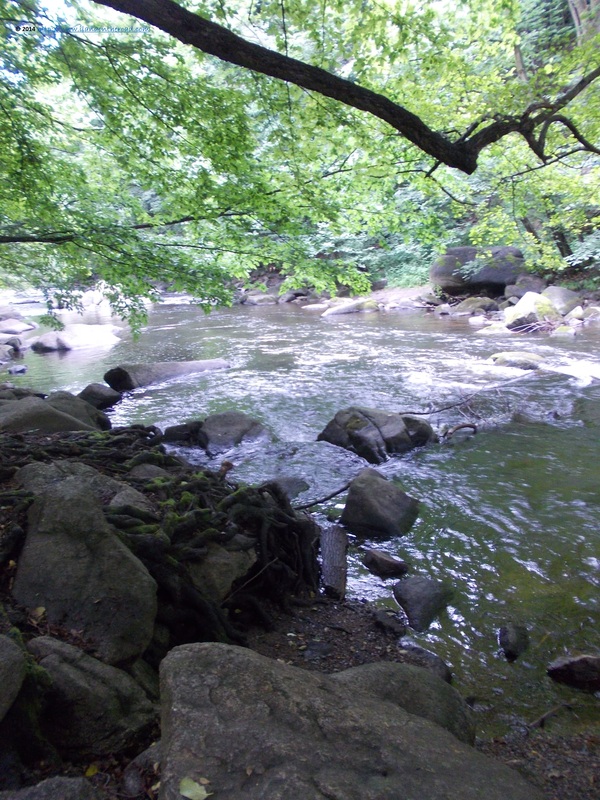 We descended near a river, running fast near the big blocks of stone. 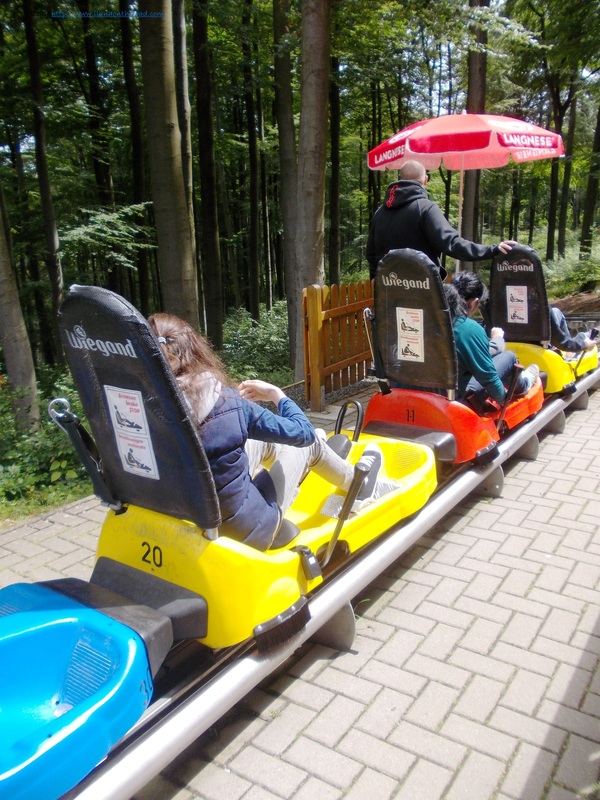 For the children, besides the hiking experience, Thale offers a lot of fun experience for children: adventure climbing park, a mini-golf and huge playground, many of them decorated with characters of the local folklore. 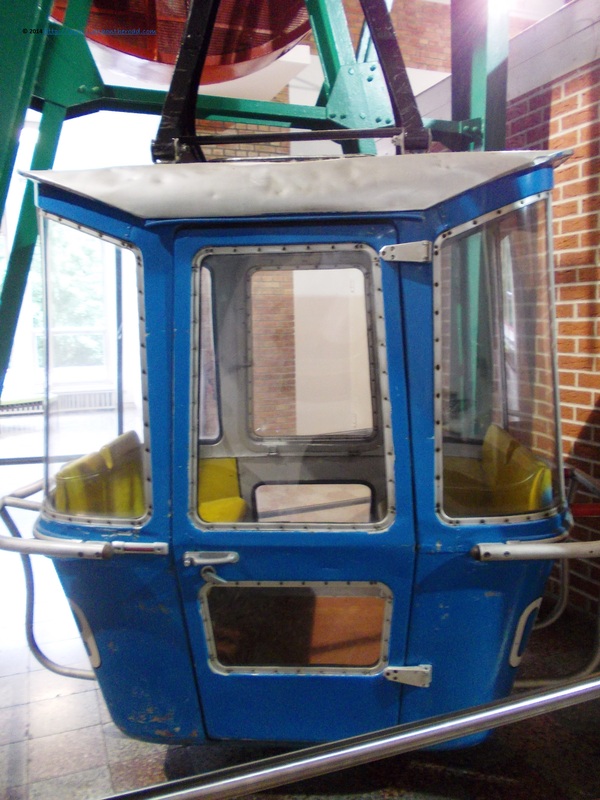 As for us, considering ourselves grown ups enough to skip those temptations, we took the first gondola - this time a full covered one, and looking more modern than the one from the picture - going direction Hexentanzplatz - Witches' dancing place, in an approximate translation. The view over here is more spectacular than on the other side of the mountains, and there are even more people visiting the place. Hiking is a bit more challenging, but still feasible and with minimal risks if you did not train the whole month. 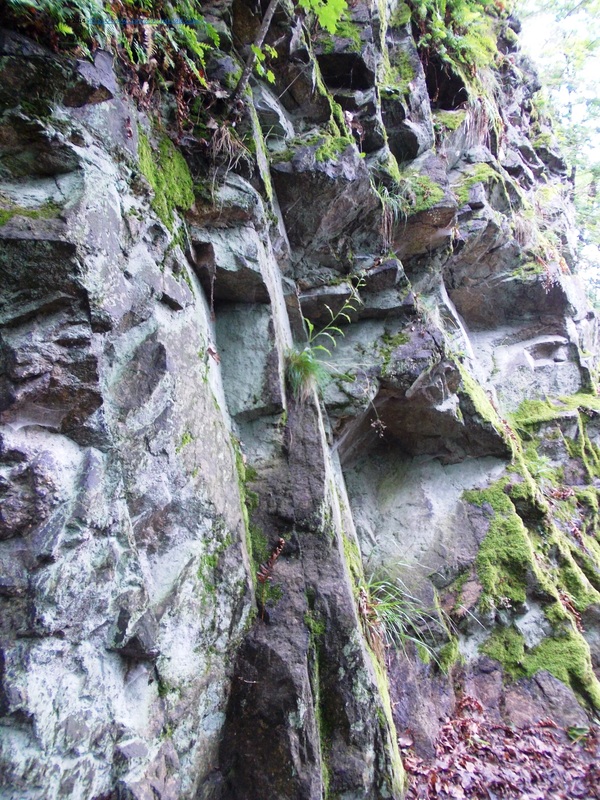 The wild natural beauty around imposes deep silence and this was the predominant note near the many observation points. The fauna of the Harz mountains is very rich and many of the animals are running free in the woods - especially the lynx. 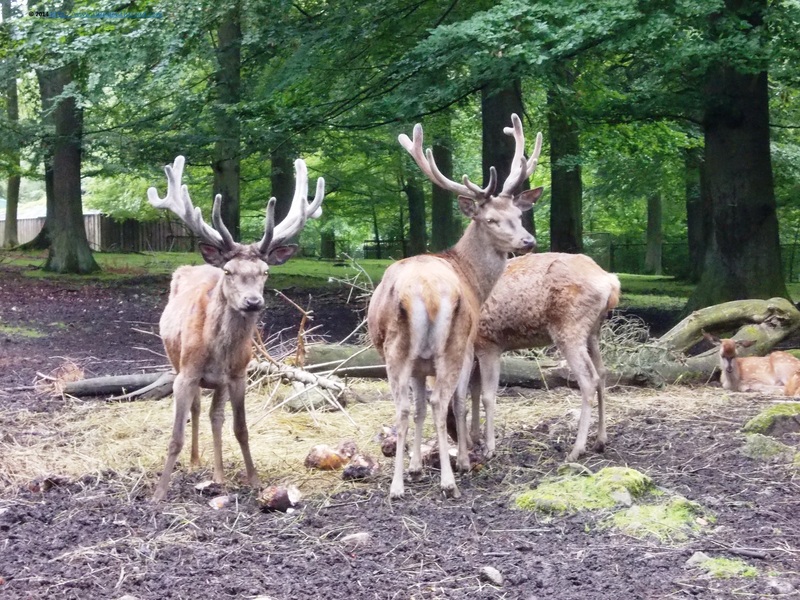 However, I rather prefer to avoid such encounters and admire the animal diversity gathered in the Tierpark. This bear, for instance, looks less threatening and even friendlier. 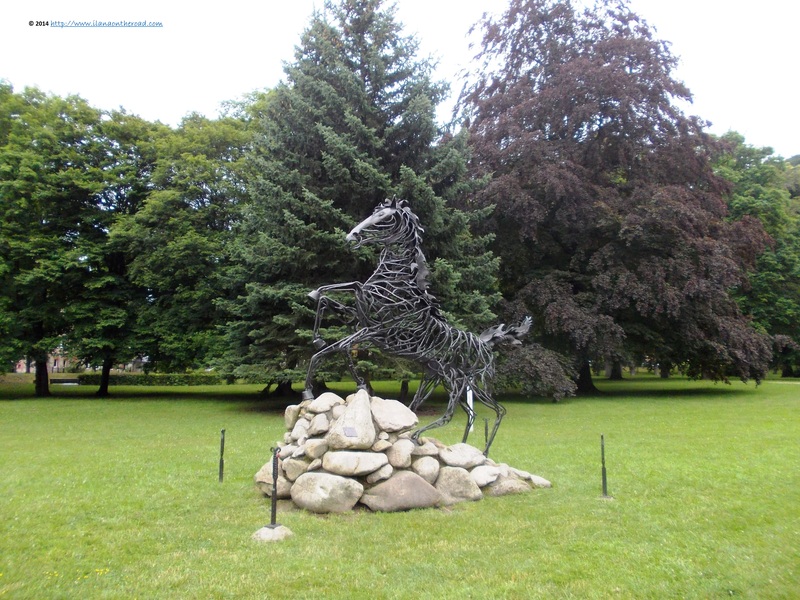 The park is huge, with many observation points from where to keep an eye to the movement of the animals that you cannot do it during real life encounters - as in the case of the wolf, for instance. The birds are well represented too, with beautiful examples of marsh terrier, long-eared owl, golden eagle or common buzzard pheasant. There is a lot of place left for adventures too. For children of all ages, the bob stroller is a nice 10-minute entertainment, running fast, very fast, around the woods. If you are smart enough, you can buy a combined ticket for gondola - two-ways - and the bob for less than 10 EUR. As in the case of many places in Germany, be sure that you carry some cash with you. Despite the beautiful views, Hexentanzplatz can be crowded during the Sunday afternoons, especially as there is also located a Theatre playing different Broadway-inspired programs. We left the area in the sounds of 'Don't cry for me Argentina', that kept us company for a long time during the descent. 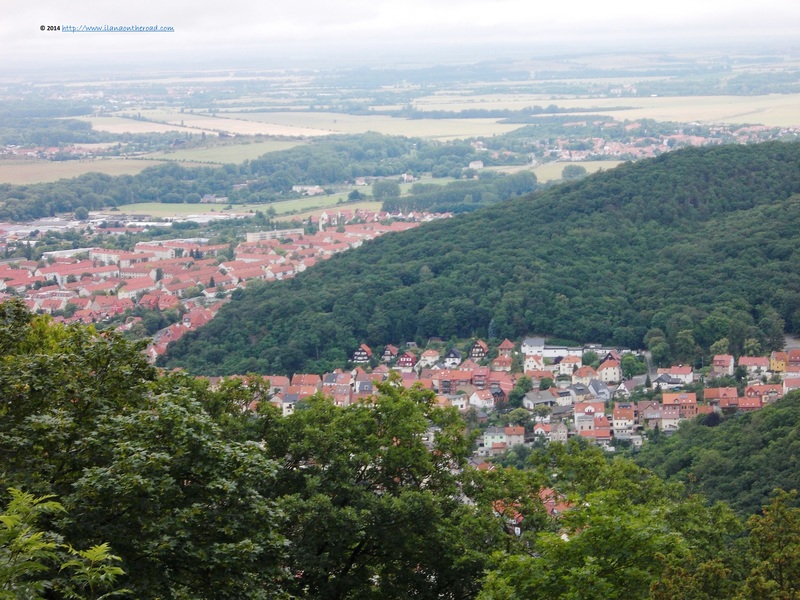 After a short stop at the Homburg tower nearby, from where we admired once again the beautiful scenery. After the one hour descent, we are back in the civilized world. 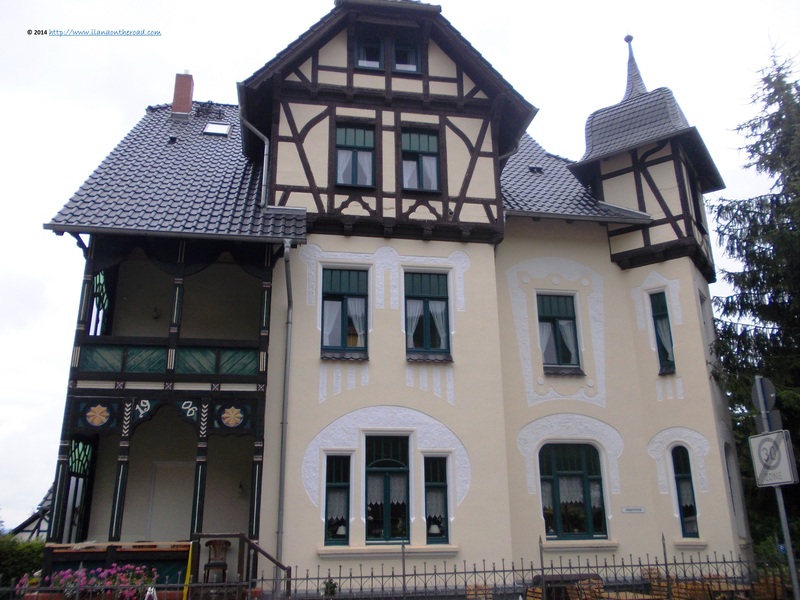 The rest of the time, we are walking the streets of the city, observing the different architecture of the city - a combination of half-timbered houses with coloured paintings on wood near Art Nouveau decorations. The best examples we encountered on Jägerstraße and Heimburgerstrasse, where we also crossed path with many peaceful cats enjoying the accidental apparitions of the sun. 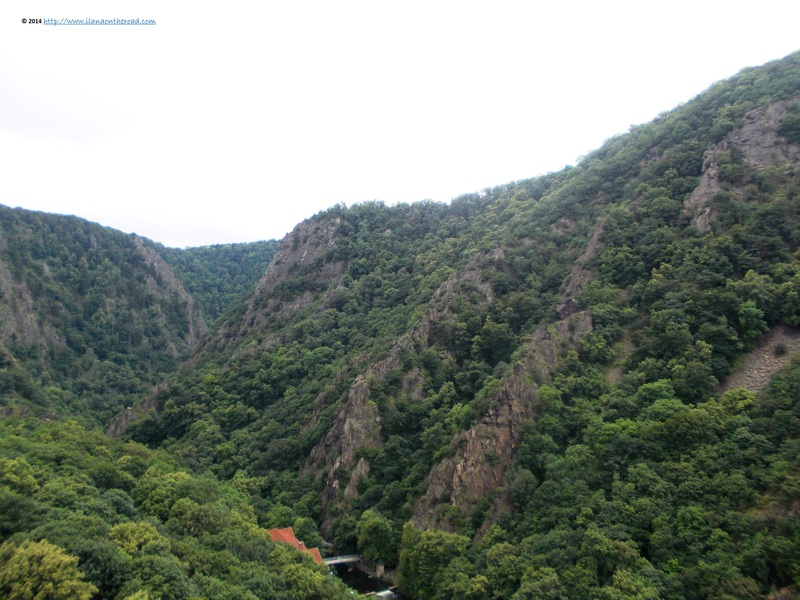 Thale, as the entire Harz area, was often visited by writers who placed some of their stories or poetry with mystical and magical topics in those mountains. Goethe, Heine, Herder, Fontane or Klopstock are only few of the famous German writers whose writings were inspired by the landscape. Adapting the old stories to the modern times, a MytherWeg was created representing various stories from the Germanic mythology. 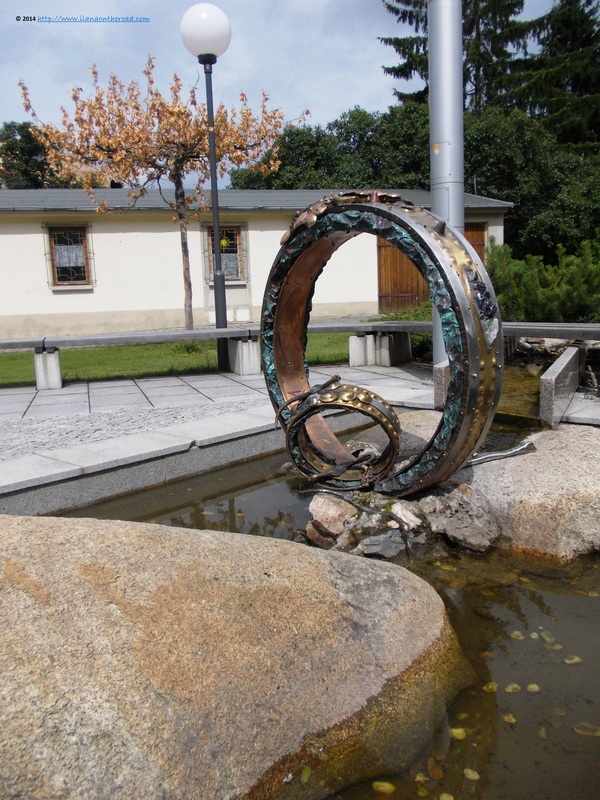 Close to the townhall, for instance, we discovered Draupnir rings, Odin's ring having the capacity to multiply itself. There is also a smooth balance to the heavy myths: the delicious icecream sorts offered by Café Gelato, situated near the train station. 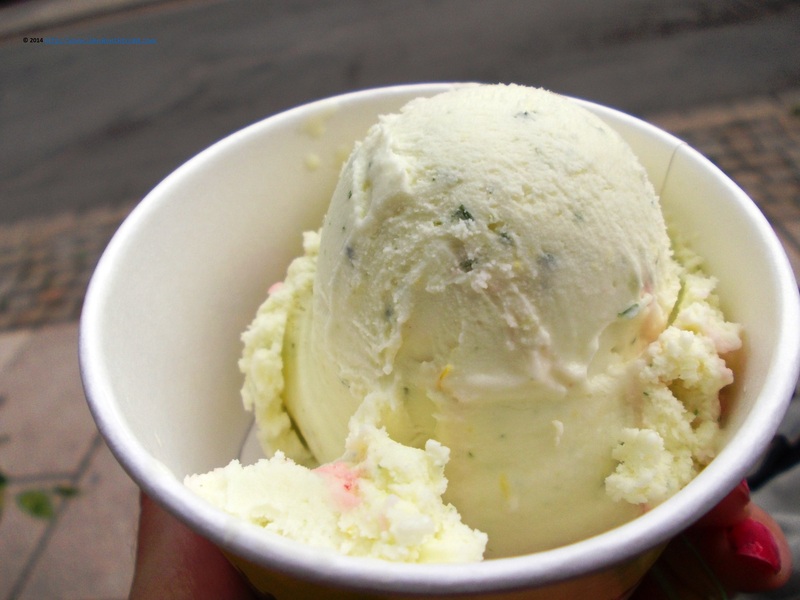 The pineapple and parsley scoop was normally excellent, despite the exotic note of the ingredients. Thus, at the end of this trip I did not only went back in the mountains, getting ready for even more hiking experiences in Central and Eastern Europe soon, but also learned something new, this time, about icecream flavours. Always curious about new destinations, I am almost sure that will be back to Thale, probably in less than 12 months.